So you’ve finally made it to college, Class of 2036. Congratulations! Music is a HUGE part of college, right? I mean your parents met at a Grateful Dead show during their freshman year at NYU and they’re the happiest couple you know, right? Skidmore and Saratoga Springs each offer plenty of great opportunities to catch some amazing (and some terrible) music. So which will it be, young Jedi? Check out Skidmore Unofficial’s Official Venue Rundown of the best and worst places to hear music. Pull your studded belt and guyliner out of storage and do your eighth-grade self a favor by seeing Blink 182 and My Chemical Romance play at SPAC on September 16. (Tickets range from 25 dollars to 270 dollars.) 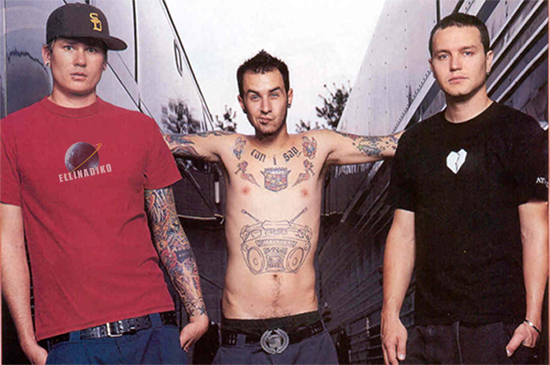 Blink 182 is celebrating its 10th anniversary and working on their album for the first time since 2003. My Chemical Romance might have stopped shopping at Hot Topic, I don’t know I haven’t been following them and Googling the question hasn’t really helped. If nostalgia isn’t a good enough reason to see this concert, you might be inspired by the fact that the opener is Matt and Kim. If that doesn’t work, I’ll be there and that should be enough to convince you. So like… see you there.